Had a really positive meeting on February 28th at the Liberty Stadium in Swansea. The idea being to improve the experience of people with Dementia who attend the stadium and to facilitate attendance for as long as possible. The Liberty Stadium team are already doing some great things for people who have other challenges, such as learning disabilities, autism and sensory difficulties. The team led by Lucy Norman are so positive, which is a refreshing attitude for which they deserve sincere congratulations. The meeting was also a collaborative effort between the Stadium team, DEEP (Dementia Engagement and Empowerment Project), Alzheimer’s Society Cymru, Swansea University and ABMUHB. 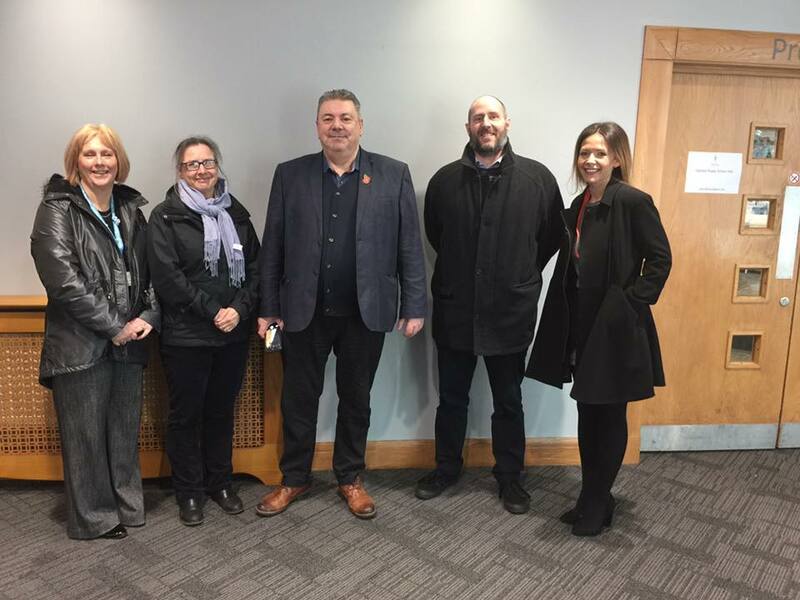 Pictured (L to R) are Marcia Vale (Alz Soc Cymru), Professor Andrea Tales (Swansea University), Nigel Hullah (DEEP), Nick Johnson (ABMUHB) and Lucy Norman (Swansea City AFC).